MIAMI, Florida, February 11, 2019 – Karlville, a manufacturer of the Pack Ready Laminator for HP Indigo, has announced the establishment of the Pack Ready Lamination Film Validation Center to drive expansion and development of flexible packaging solutions, applications and partners for the rapidly expanding HP Indigo digitally printed flexible packaging market. The center will operate at Karlville’s Miami, Florida headquarters. “The validation center will serve as an eco-system to allow film supplier and converters to validate films and perform end to end testing of the final product, including digital print on HP Indigo, lamination and pouch making, and bring faster solutions to the digital flexible packaging market. The center will support and accelerate adoption and placements of the Pack Ready systems as well as compatible pouching systems,” said Raul Matos, vice-president Sales and Marketing, Karlville. 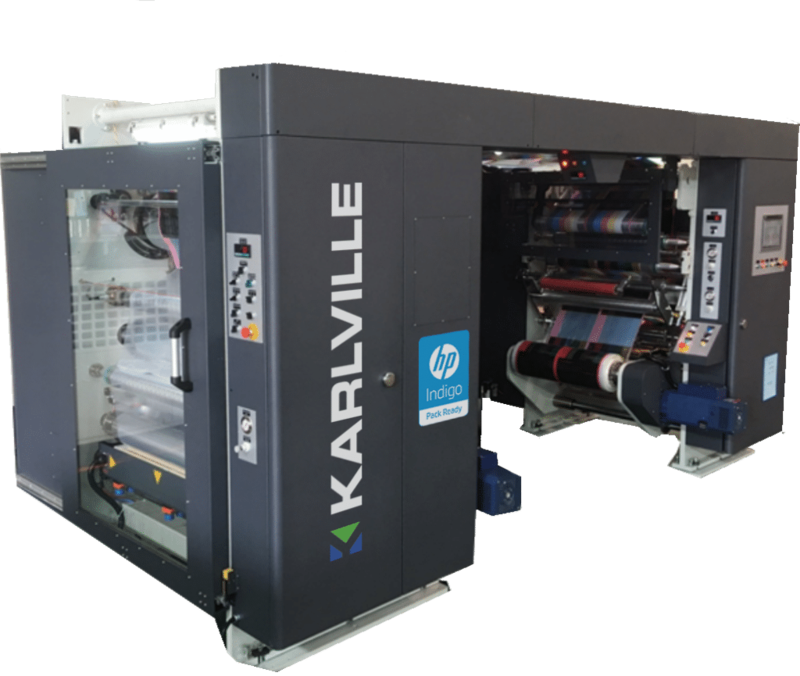 “The establishment of the Pack Ready Film validation center is an evolution of a long-term collaboration with HP Indigo, and demonstrates Karlville’s commitment to expand the Flexible packaging digital printing market led by HP Indigo. Recognized and awarded the “InterTech” 2018 award for Innovation the Pack Ready Lamination solution is being embraced by a creative and dynamic community of suppliers and customers poised for growth,” says Allon Maoz Director of Supplies, Media and Materials for HP Indigo. On March 22, Karlville will host an open house for the Latin America region at its Miami center, showcasing, both lamination technologies, Solventless Lamination and Pack Ready Lamination, as well as a new Quick-Change Pouch Machine. Please contact your HP representative for details.